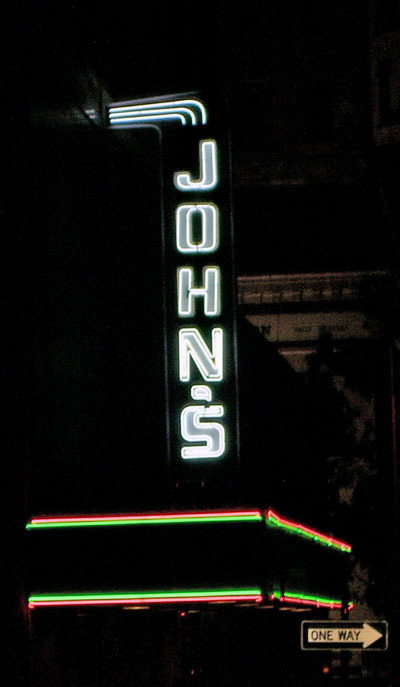 A renovated John’s City Diner sign as it lit up its Richard Arrington, Jr. Blvd location on a comfortable summer evening in Birmingham earlier this week. It has occupied a place in Birmingham history since 1944. While the current restaurant is not held in the family anymore, family members are still active in the Birmingham restaurant scene, including Zoë’s Kitchen owner (and John’s daughter) Zoë Proferis Cassimus as seen on this site I recently discovered highlighting Greeks in Birmingham. The current owners have opened up a second location in Trussville, though there is still nothing like venturing down and sitting in the original. Or seeing the neon sign lit up at night while exploring the city. Check out the Birmingham neon signs photo gallery as more images are added. If you look to your right, you will see a new addition to the sidebar. Clicking on the link under Dre’s e-mail feed will allow you to receive updates to the blog via your inbox. Just in case you really want to. John's has some tasty menu items since the menu was revamped/new chef hired. I like the salmon for lunch. Their desserts are also yummy. Good service, too.